Maria Butina became the first Russian national to admit to trying to influence U.S. politics before the 2016 election, with her guilty plea this week in a federal investigation. Prosecutors say they have "resolved" a case against a woman accused of being a secret agent for the Russian government, a sign that she likely has taken a plea deal. 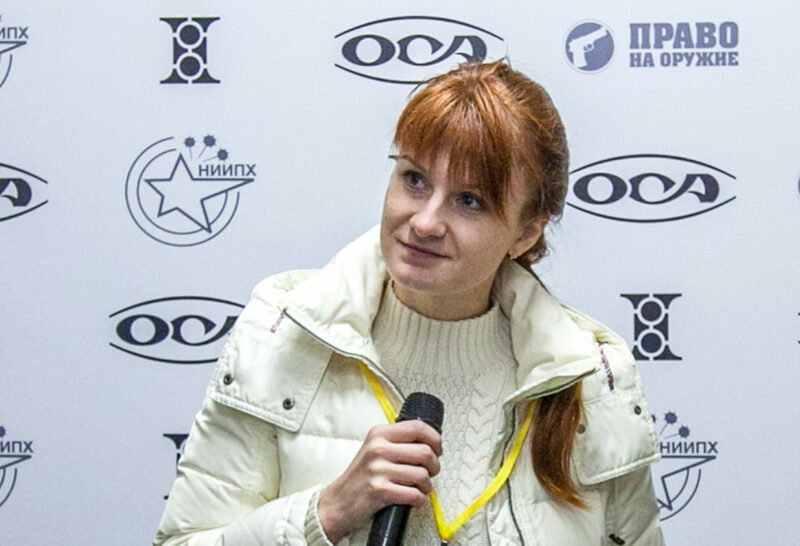 Maria Butina was indicted on charges of conspiracy and acting as an unregistered foreign agent. Russian officials to meet suspected spy jailed in U.S.
Russian Embassy officials were to meet Thursday with a Siberian gun rights activist jailed in Washington on charges of spying on the U.S.